Product #15823 | SKU MP03955 | 0.0 (no ratings yet) Thanks for your rating! Behind the two-click simplicity is a powerful and complex reconstruction process. 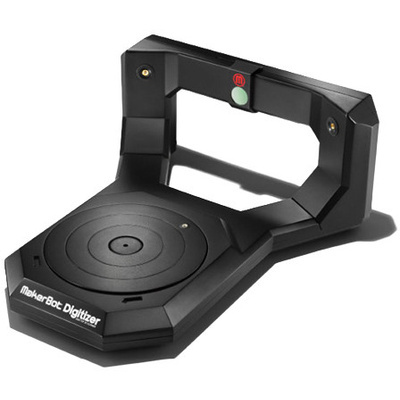 MakerWare for Digitizer contains an algorithm that connects hundreds of thousands of points into a seamless digital mesh in just seconds. There’s no patching, stitching, or repairing required, so you can skip straight to your creative process. We’ve worked hard to create software that saves you time. MakerBot MultiScan Technology allows you to scan objects from multiple angles to capture the top, bottom, and hidden parts of your object. You can then “merge” them together to create the best possible 3D model.